Get Out Of Debt - Principles of Financial Management #3Eliminate The Muda! You’ve been living large, having fun, party till you drop and all that. Recently you woke up to the fact that you are not earning a living, you are living an earning. You are a slave to a job that provides just enough to get by from weekend to weekend. Now you are committed, there is a better way and you are determined to find it. You may not be sure what are the answers are but you know the answers are out there. The magic words, the secret sauce, the silver bullet; whatever it is you are going to find it because you have Persistent Purpose. Your purpose is to get a handle on your financial life. If this is where you are in life you have already started down the right path, you’re following Financial Principle #1. You are educating yourself. You may or may not have consciously considered it but you already know that in order to get a handle on your finances, it means that there will always need to be some money left after paying all your obligations. You must and will live on less than you earn. There must be some savings, after all growing wealth is not about what you make, it is about what you keep. If you have made it this far, even if it is only a few dollars, you are practicing Financial Principle #2: Always spend less than you earn. What now? The next principle is quite clear but may be very difficult to achieve: Achieve freedom from debt. You could pay minimum payments on all debts and focus every spare cent on the smallest debt first. Once this is paid take the monies used for this debt and apply to the next largest, and so on. This approach is often called the “snowball” approach generally attributed to Dave Ramsey. Some advisors will tell you to focus first on the debt with the greatest interest rate. After this debt is paid take a similar approach to the “snowball” using these funds to now pay the next in line. Personally I used the second option above when I began my journey to a debt free life. However, after reading Dave Ramsay’s book I would now likely take the “snowball” approach. Mainly because it provides the opportunity to see progress faster which can be very motivational to stay the course. If you owe back child support and your child is in need, I would argue this should be your priority. Our children are our future and should always receive the priority. If you have back taxes and penalties due, no child support and your only other debt is credit cards, then the IRS will likely be your priority. If you have only basic credit card, revolving credit, car loan, student loan types of debt use options 1 or 2 above. If it is more complex you should seek the counsel of a competent professional. The message in this principle is to get rid of the debt. Sell what you have to sell, cut expenses you have to cut, stop going out for dinner, and get a second job or even a third. Do what you have to do to get a handle on the debt. The sooner you get rid of the debt the sooner you can begin to grow your wealth. It’s not what you make, its what you keep but you cannot keep much if it is all owed to creditors. Remember: Persistent Purpose! Don’t give up. Click here to learn why it is easier to save a dollar than to make a dollar. After reading your website for the whole night on Saturday I have to say one thing – thank you. I have been repaying back my student loan for 3 years but never thought about fast-tracking that. After breaking figures down, writing SMART objectives, it dawned on me it would be easier to make weekly contributions, and budget for weekly shopping, tickets, supermarket trips. In one week I made lodgements and reduced it by staggering 6%. One week. I am planning to stick to that plan for the next 6 months, and if it all goes well, I am planning to save for mortgage. Just the kind of advice and website I was looking for. Will keep you posted about the progress. 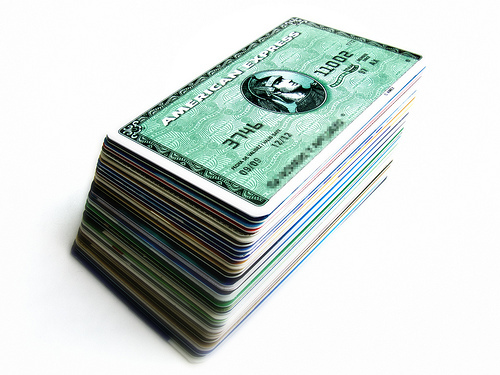 Visual Tools Make Debt Management Easier « Eliminate The Muda!